We all know that drumming is more than just a hobby. With the right drums, both adults and children can be the rock stars they always wanted to and take their love of music to the next level. The Mendini by Cecilio drum set definitely helps in that matter, as an exclusive and top-quality product that has been known on the market for years. 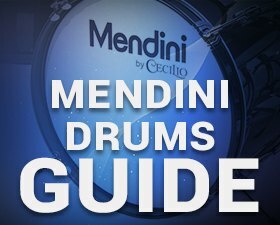 Whether you got yourself a nice set of Mendini by Cecilio drums or are looking to purchase one in the future, here you will find all the tips, tricks, instructions and guides you need about the Mendini drum sets and their real value. 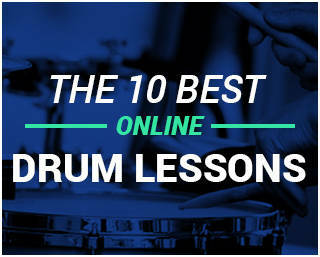 On this website, you will find the most accurate Mendini drum set reviews for each and every drum set and model. First and foremost, you should know that the Mendini by Cecilio drum set is a complete set of drums that introduces you to the world of drumming or gives you a better instrument to play your favorite drums. It can be found in sizes for both adults and children as well as other variables such as different sizes, colors, styles etc. Basically, there are many different combinations of the Mendini by Cecilio drums. 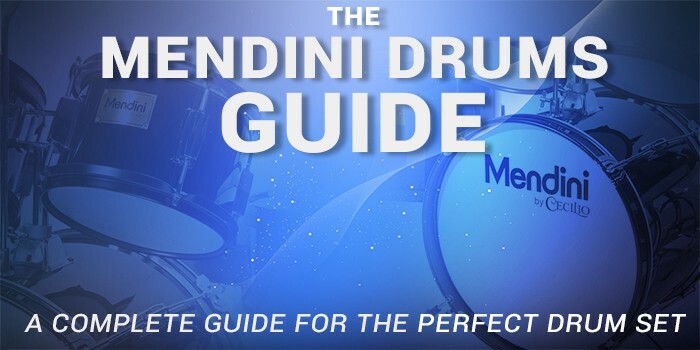 In order to help you understand and see which size, color or type may be ideal for you or your kid, we are reviewing the two main categories of the Mendini drum sets below – the Adult and Junior drum sets. 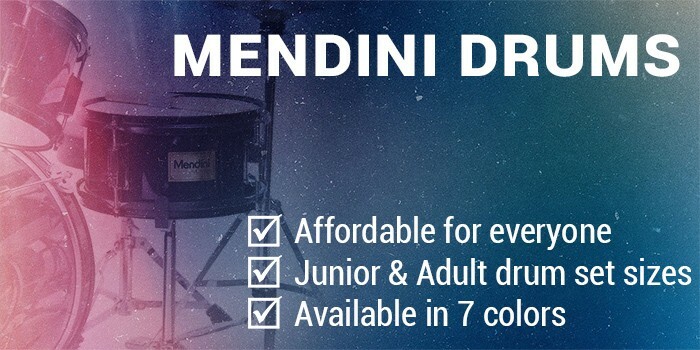 That being said, the Mendini drums are manufactured in different ways in order to provide both adults and juniors the best comfort and an instrument that is tailored to their needs and specifications. Choosing either of these two Mendini by Cecilio drums will give you essentially the same drums, hoops, lugs and elements, however packed in different sizes. 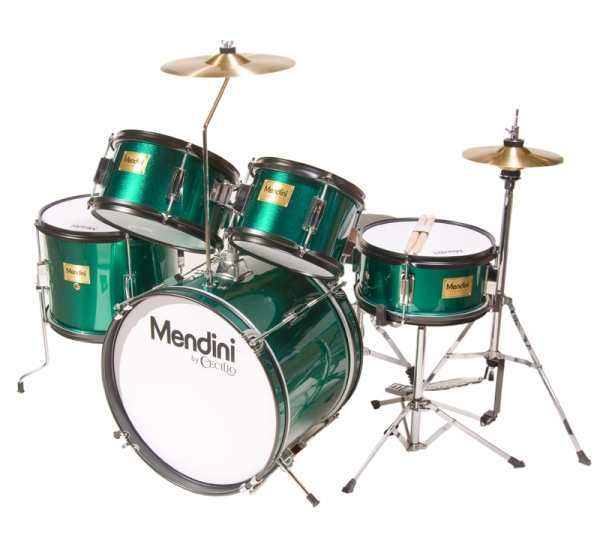 Basically, the Mendini by Cecilio drums come in one size for adults and three different sizes for juniors (children). 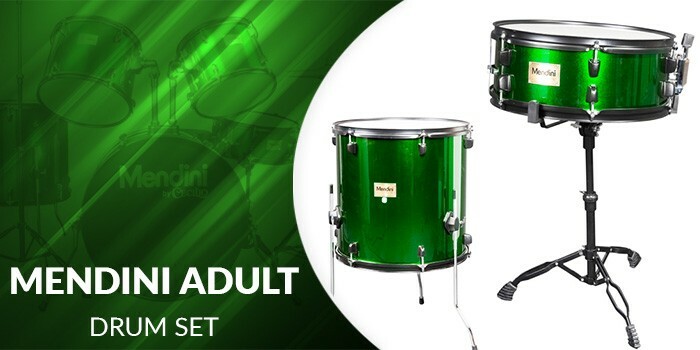 The standard full size of the Adult drum set is 22 inches, packing 5 pieces of drums with all the needed accessories. When it comes to customization, there are 7 colors you can choose from including black, blue, green, silver, white, wine red and bright red. 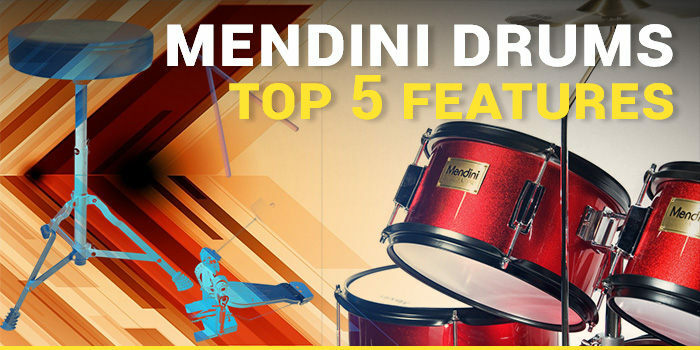 Known to be in the list of best drum sets for beginners, the Mendini by Cecilio drum set boasts with quality, is easy to master and produces an amazing sound, which is surely the cherry on the cake when it comes to mastering the drums. If you always wanted to get into drumming but never had the time, now is the time to invest in the Mendini by Cecilio drums or help your kid fulfill his life goal. Ideal for both amateur and semi-professional use such as gigs and family events, the Mendini by Cecilio drum set will help you fall in love with the beat of the drums and get overwhelmed by the customization options out there. If you are into drums, you probably have heard of the name Mendini by Cecilio so far. They are a part of the Cecilio, which is a high-end instrument manufacturer based in California. From strings to woodwind, brass and obviously drums, the quality of the Cecilio products is unmatched on the marketplace. But most of all, the Mendini by Cecilio drums communicate the love for the good sound – and excel at that at an affordable price. 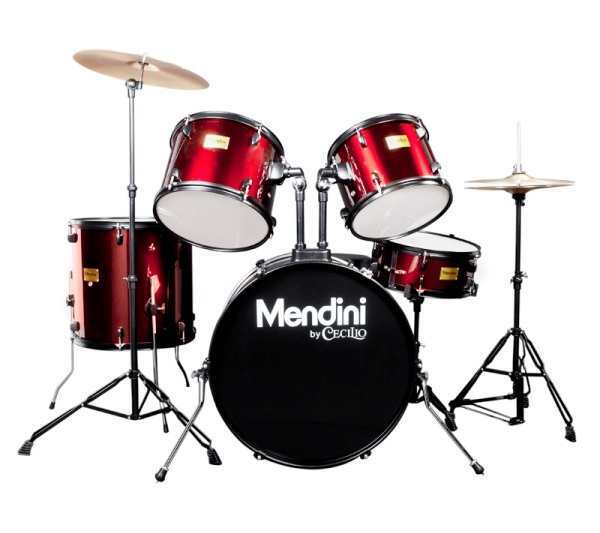 In other words, you can either purchase a Mendini by Cecilio Adult drum set for you – or treat your children to a fine-quality Mendini Junior drum set and teach them all they need to know about drumming and this type of music. The instructions guide and assembly kit will definitely help you not only assemble the drums but also learn the basics and find which pedal is operated by which foot, how to play the ‘toms’ which are placed on stands and how to synchronize your beats accordingly. Once the pedals, stands and clamps are assembled, the fun can begin. So, Why Should You Get The Mendini by Cecilio Drum Set Today? 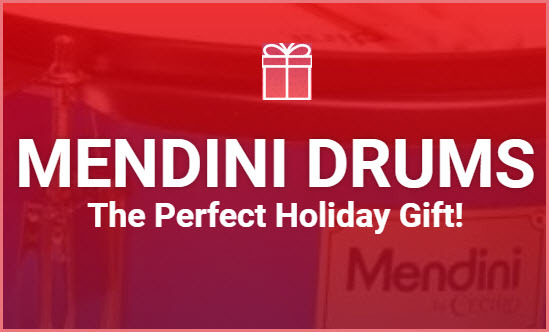 In a world full of musicians, the Mendini by Cecilio drums help adults and children satisfy their love for music or even start a career in drumming. 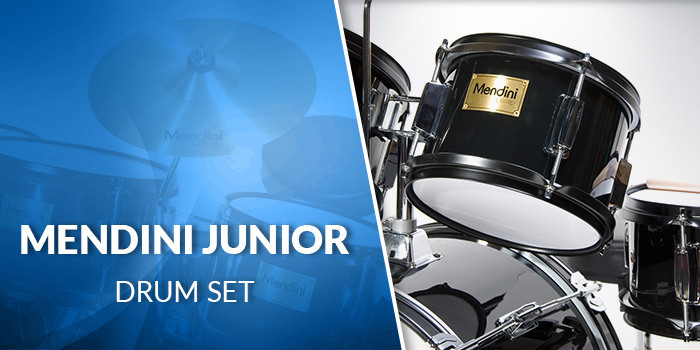 If you share the same vision or just want to see how this skill looks like from the other side of the drums, you can purchase the Mendini by Cecilio drum set today – or read more about it in the Junior and Adult product sections on our website. So, will it be ‘no drums – no life‘ or ‘know drums – know life‘ for you?